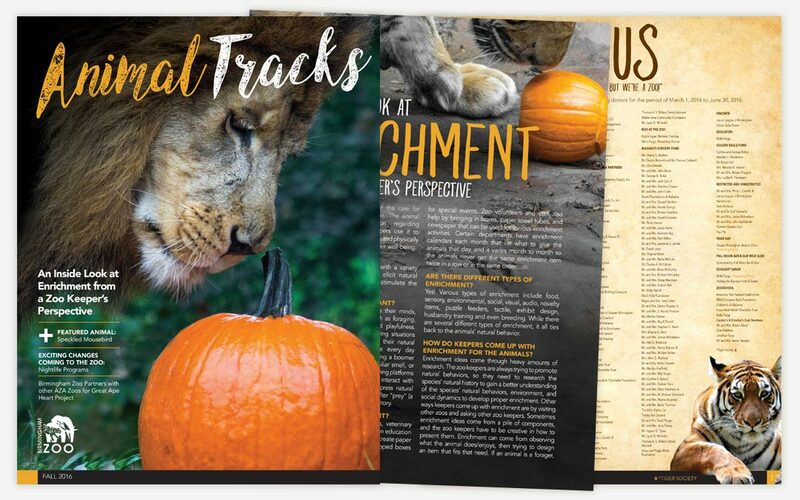 Once again, the The Birmingham Zoo approached Grafx in need of a fresh new look for their Animal Tracks magazine publication. 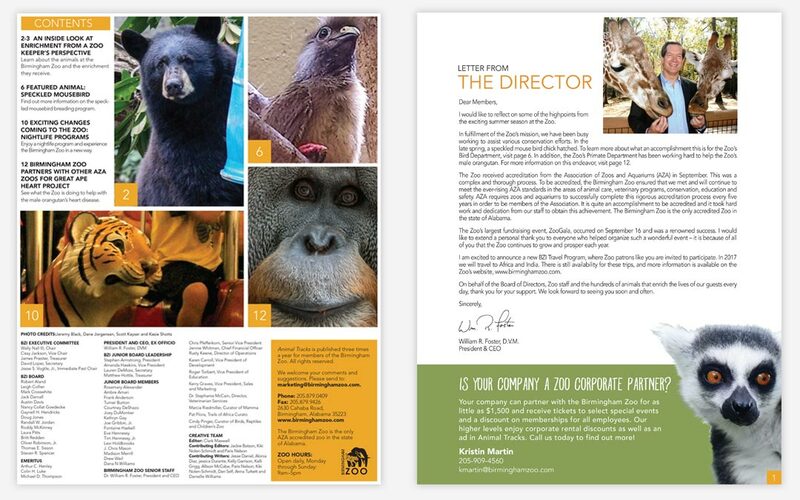 They desired a design that conveyed modern sophistication with large visuals and improved readability. 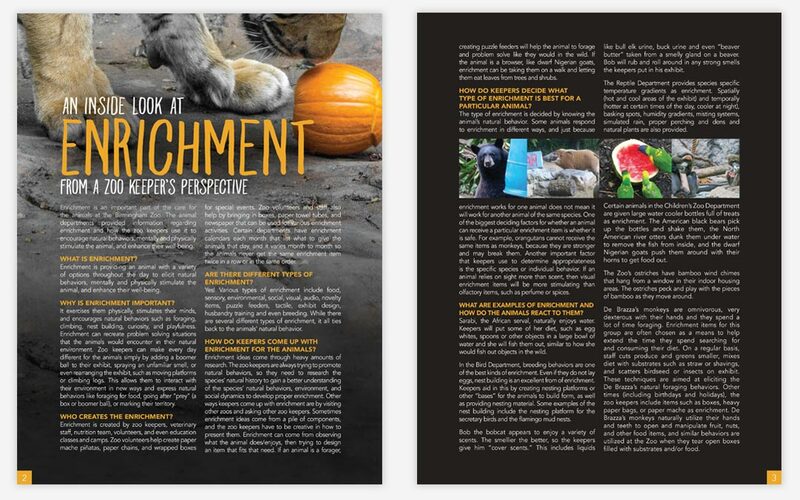 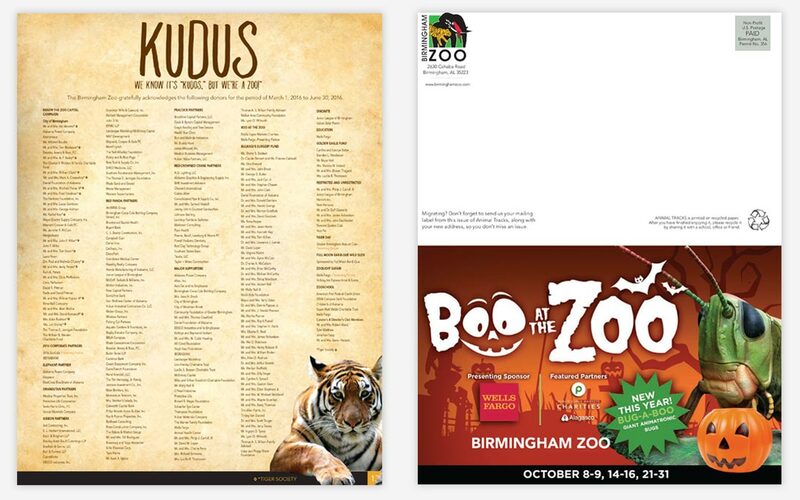 Grafx worked closely with the Birmingham Zoo’s marketing team to re-design the magazine from the ground up, ultimately delivering a final product that brought immediate praise from their members.